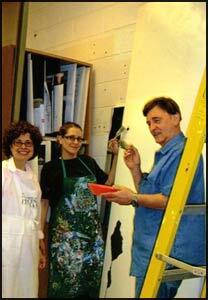 Art Unhinged - the Kmart Recycled Doors Project. 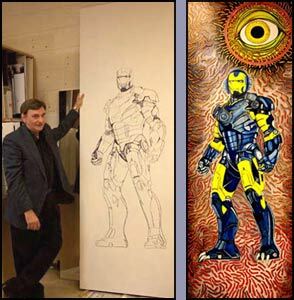 Eighty pound steel doors from the soon-to-be-demolished Kmart building are being re-purposed as art projects. 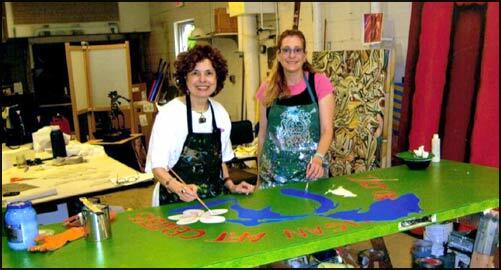 Artists are asked to use their skills to transform these doors into beautiful art in any form. The finished project will be auctioned for charity. 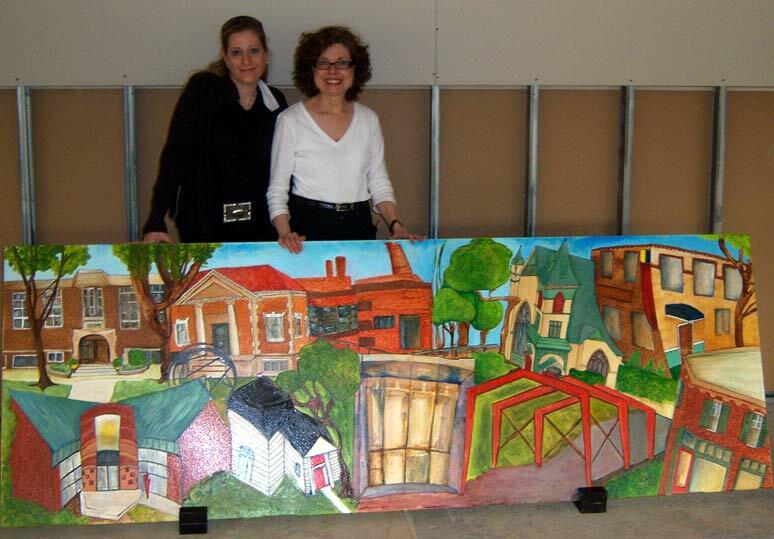 Linda Shears and Diana Jellinek with their re-purposed door picturing the Art Centers of Michigan. Larger detail photo here. 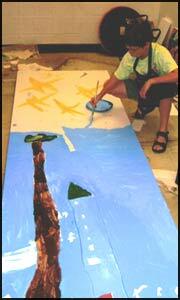 Child artist Adrian Jellinek creates a colorfuld outdoor landscape with a tree and starry sky. 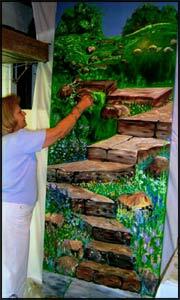 "The Garden Stairs" by Troy artist Beverly Booth. . Larger detail photo here. in the studio shared with James Homer Brown. 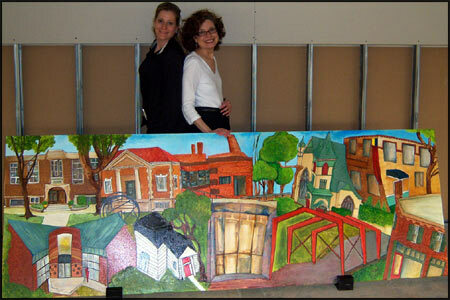 One of the 80 pound steel doors being delivered to the artists workroom at Ford & Earl.